When NFL football season starts, our house becomes snack central. We’ve got a whole family of football fans, and they all love to nibble on little bites while they watch the game. There’s something about football that brings on the munchies. Trouble is, most of the snack foods we like to eat are full of fat and calories… chips, nuts, salted seeds, and thick, caloric dips. This year, I set out to create a simple dip that is both healthy and snack-worthy– not the easiest of tasks, considering our favorite treat is my Aunt Carol’s Spinach Dip (mayo + sour cream = best ever, nothing can compete). 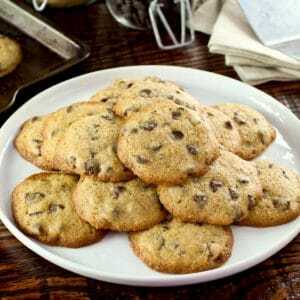 Even so, I came up with this recipe, and I was amazed at how great it turned out! It’s way lower in fat than most dip recipes, and it’s super easy to make. My family loves it, too… in fact, we’re obsessed! I started with Greek yogurt, which provides a rich, creamy base with high protein and very little fat. You can even use nonfat Greek yogurt if you want to– we prefer the lowfat version because it adds a little extra oomph to the dip. I added fresh dill because it’s my favorite herb of all time, and it goes so well with the cool creamy yogurt. Then I threw in a bit of garlic… not as much as tzatziki, just enough to give it a hint of flavor. For the final touch, I turned to my husband’s favorite ingredient: walnuts. He grew up eating lots of walnuts, and he’s happy when I add them to just about anything. The tradition came from his Russian father’s side of the family; they like to add crushed walnuts to all kinds of dishes, including kasha varnishkes, stews and sauces. To be honest, I wasn’t totally sure how they would taste in this dip, but I thought they might add a nice richness and flavor. The yogurt on its own was missing something, so I decided to give it a try. I threw it all together in the food processor and gave it a whirl. The result? Success! 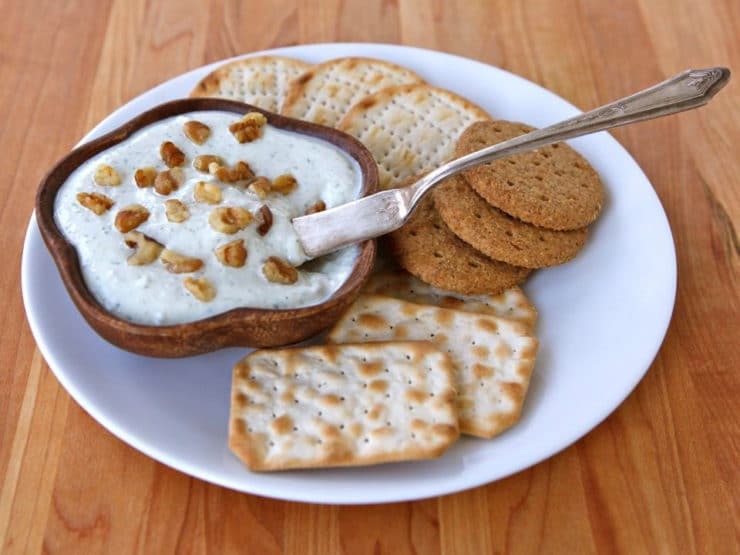 This Greek Yogurt Snack Dip is seriously tasty. 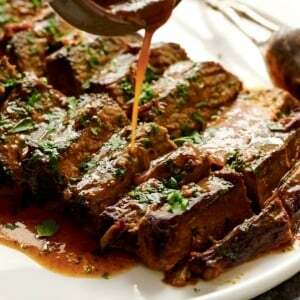 The walnuts thicken the mixture and give it a really nice flavor. 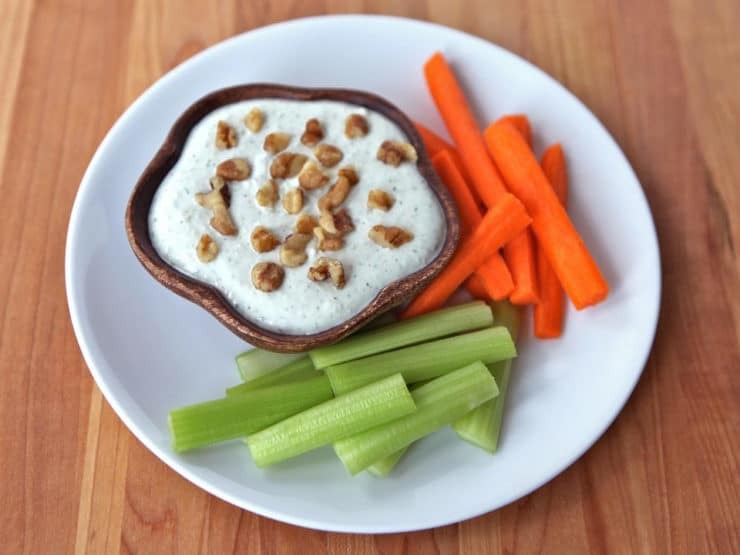 It’s somewhat similar to ranch dip, perfect for dipping fresh cut veggies, chips, or crackers (my Baked Pita Chips would be especially yummy). The best news is, you don’t have to feel one bit guilty eating it. In fact, it’s actually good for you. Score! Bring on the NFL, we are so ready for snacking season. 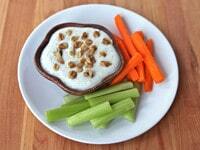 Rich lowfat Greek yogurt blended with walnuts, fresh dill & garlic for a healthy diet alternative to ranch dip. Gluten Free, Vegetarian, Kosher. 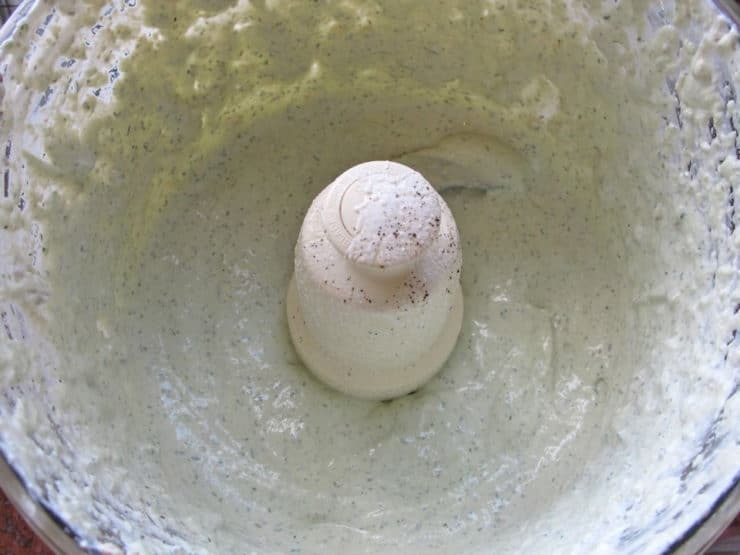 Pour Greek yogurt, walnuts, dill and garlic into a food processor. Blend for 60 seconds, scraping the sides periodically, till the mixture turns thick and the walnuts are well crushed. Taste the mixture; season with salt and pepper to taste. Blend again till smooth. A little texture from the walnuts is okay. Chill dip thoroughly before serving. The more it chills, the thicker and richer the dip becomes. 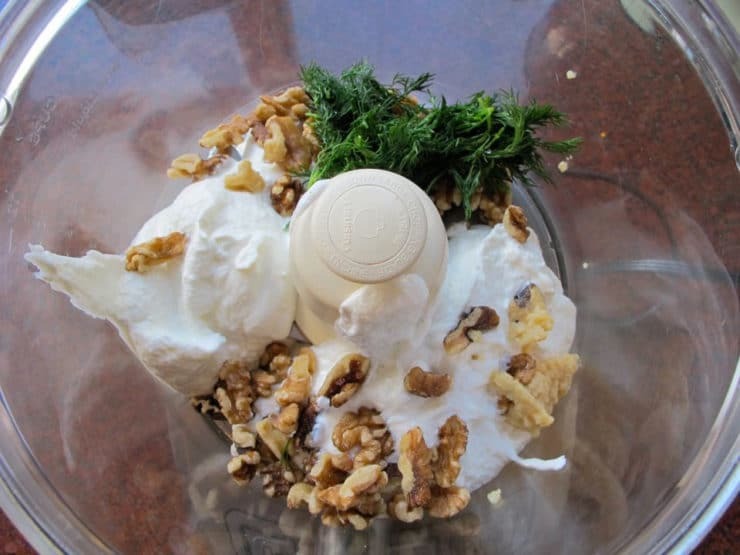 Garnish with chopped walnuts. Serve with fresh vegetables, chips or crackers for dipping. What if I don’t have a food processor? I only own a blender, can i use this or any other alternatives instead? Really want to try! 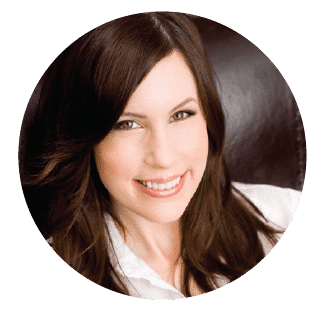 Hi Danielle– yes, you can use a blender, but you’ll need to scrape the sides repeatedly throughout the process to make sure everything blends together well. Enjoy! How long can you keep this dip in the fridge? Hi Laura, it should keep for about a week as long as your yogurt is fresh (not close to expiration). Using Greek yogurt instead of butter is a much healthier choice. Greek yogurt is high in protein and has much less fat than butter. When I make recipes I always use Greek yogurt to stay healthier. I don’t believe it changes the flavor either.